Breadown Callout to vehicle starter motor faults. Licensed waste carrier for removal of vehicle air conditioning refrigerant from site. Discharge Amps Current draw - Locating of wiring short circuit and battery current drain checks. Vehicle breakdown may be caused by aftermarket car alarms or immobilisers, possibly fitted by a previous owner . Faulty aftermarket car alarm or immobiliser systems which may be causing a no start vehicle breakdown can be removed or bypassed, with prior customer authorisation and customer notifying vehicle insurer. 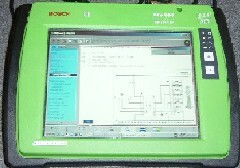 Fault tracing on electro hydraulic systems on mobile plant & machinery. Breakdowns attended on site if accessible. Autoelectrical wiring systems connect vehicle electrical and electronic components to provide power and communication function to lighting, engine starter motor, alternator or dynamo battery charging, and engine transmission, steering and braking control systems . Correct cable specification and good connections are essential. Vehicle electrical breakdowns can have many linked causes including Loss of power supply, low voltage, excessively high voltage, Open circuit, Short circuit, high resistance, low resistance, which may have further effect on components causing system failure. Vehicle wiring loom prototype build manufacture installation and testing. General testing and repair of wiring loom harnesses for specialist vehicles and van conversions. Classic and vintage vehicle autoelectrical systems often feature more basic automotive wiring systems. The vehicle battery may be connected as a Positive Earth or Negative Earth or Insulated return wiring system depending on vehicle age and specification. Vintage british vehicle wiring sometimes connects the battery directly to bakelite switch to component, with occasional ignition and auxilliary circuits protected by fuses. Relays and Solenoids may be fitted to provide remote switching. Problems can arise due to accesibility , age of components which are obsolete and difficult to source, and lack of adequate circuit protection. Classic and vintage car and tractor autoelectrical systems can have many unique anomalies including 6 volt system voltage, Positive earth wiring system, Insulated earth wiring systems. Magneto ignition systems. Starting systems with seperate starter switch ,solenoid, and starter motor. Vintage vehicles may be fitted with a 'Dynastart' unit. Dynamo charging systems which may be three brush type on earlier vintage vehicles or later two brush types. External control box voltage regulator often mounted in engine bay or bulkhead controls dynamo charging output . Classic and vintage vehicle ignition systems may include Magneto, coil, or distributor with mechanical or vacuum ignition advance and retard adjustment. Classic vehicles may feature Non Standard lighting systems which may be acceptable due to date of manufacture or Mot exempt due to age. 24 hour emergency breakdown callout for out of hours ,Sundays, and Bank Holiday Monday subject to workload for breakdown cover. A range of specialist test equipment may be used during the test and repair process. 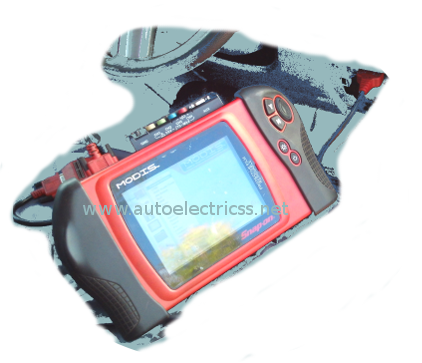 Professional vehicle computer diagnostic equipment communicates with vehicle electronic control units to scan logged fault code data from auto electrical control systems. Further testing can be carried out using meters, oscilloscope, and test guages. Product support from manufacturer technical information, vehicle wiring diagrams and vehicle systems training assists automotive electrical and mechanical servicing and fault finding by vehicle technicians to locate faults efficiently. 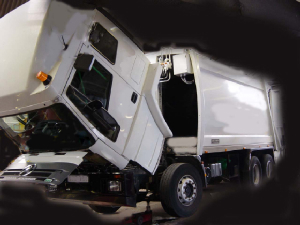 Benefits include fleet downtime reduction and increased customer value for money during breakdown repair process. Vehicle Diagnostic equipment operating manufacturer dedicated software running on diagnostic platforms includes Bosch, Lucas, Omitec, Texa, Sagem ,Snap On, Sun ,SPX , and Nexastexch. Vehicle electronic systems can generate fault codes when a problem arises. Diagnostic test equipment can retrieve fault codes and data. Drivers may first recognise vehicle computer system faults when a dashboard warning light illuminates, by driveability problems such as rough running, misfire, hesitation, failure to start, or hesitation under acceleration. A dash warning light on may cause MoT failure. Norba RL35 , Heil Powerlink, Ros Roca, Semat, Schorling, Dennis, and Terberg TCA-Del Omnidel Binlift gear. Fleet contract repair and Specialist auto electrical services to transport commercial vehicle operators of van truck and bus. On Site Vehicle Fleet Servicing in Shropshire including Fleet Preventative Maintenance Inspection, Contract Vehicle Fleet Maintenance. MoT Test preparation of Cars Vans and Commercial vehicles. Vehicle Lights Supply - Wiring circuit repairs - Installation. Petrol and Diesel Engine diagnostics in Shropshire. Auto Electrical Engineering, Vehicle Diagnostics, Wiring fault finding, and general fleet breakdown repairs are completed on site if possible for convenience and often saving the cost and hassle of vehicle breakdown recovery. Rurally based near Shrewsbury Shropshire, UK location enables fast access to A458, A5, M54, and Midlands road network for mobile workshop service support technicians to reach vehicle breakdowns in Shrewsbury, Telford, Oswestry and Welshpool local areas. Shrewsbury Town Areas: Bicton Castlefields Copthorne Coleham Ditherington Emstrey Gains Park Greenfields Harlescott Heron Gate Kingsland Meole Brace Village Monkmoor New Park Farm Radbrook Sundorne Sutton Farm. Shropshire areas SY1 SY2 SY3 SY4 SY5 SY21 : Acton Burnell Alberbury Bayston hill Berrington Condover Church Stretton Craven Arms Cressage Condover Crew Green Dorrington Halfway house Knockin Middletown Nesscliffe Ludlow Rowley Ryton Uppington Uffington Westbury Yockleton. Bridgnorth Hodnet High Ercall Market Drayton Much Wenlock Oswestry Prees Telford and Wrekin Wellington West Felton Welshpool Wem Whitchurch Whixall whether at home hotel shopping centre or work, our Mobile service can come to you to fix the car , van, 4x4 , truck,or plant providing convenience and often saving the cost of a breakdown recovery service. Callout to other UK areas available to account customers. Parts and components distributed UK nationally by mail order to Motor trade , garages, fleet workshops, motor factors and retail public in conjunction with our approved suppliers.